A big problem in today’s society is the ‘all or nothing’ approach to food. This leads people to labelling themselves as “bad” if they eat what they have learnt is a “bad food” and “good” if they eat a “good food”. Does this lead to healthy eating habits? Absolutely not. The secret is understanding that all foods can be part of a healthy diet. An ‘all or nothing’ approach to healthy eating doesn’t work AND is NOT necessary for health! 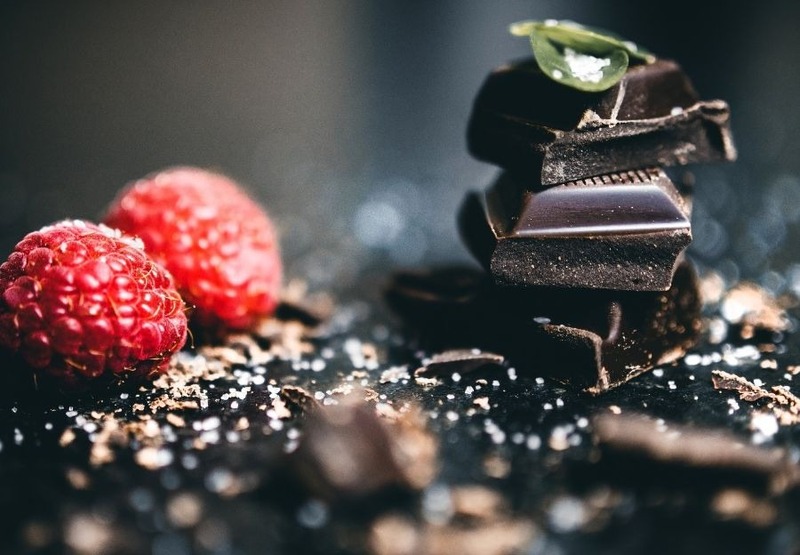 I am sure that, for many of you, this challenges everything you’ve ever read about chocolate and food, so let’s dive into this a little further. Chocolate can absolutely be included as part of a healthy, balanced diet. No one individual food can greatly define your health, unless of course it is the only food you ever eat. When any food is taken to the extreme and eaten as the main food source, we miss out on other essential nutrients that the body’s cells require to function. Let’s take another example of kale (or any other magically advertised ‘superfood’). Kale is typically seen as a “good food”; however, if kale is eaten at the expense of other foods in the diet, such as those containing other essential macronutrients needed for us to survive, then it would lead to poorer health outcomes. The way we think about food has a huge impact on our eating patterns and, therefore, our physical and mental health. If you eat a food that you believe is “bad,” you are more likely to be self-critical of your eating, your body and who you are as a person. This leads many people to be less likely to engage in healthy eating behaviours (hang on, wasn’t that your goal?). Health, and healthy eating, is more complex than one single food or one individual meal. Healthy eating is more about our relationship to food, it’s about finding balance and it’s about how we treat our bodies. But you may not see this healthy eating definition making headlines as it doesn’t make you want to spend thousands on unnecessary products with quick-fix promises, does it? Let’s drop the guilt and punishment with food and work on understanding how to achieve the ‘magical’ balance of healthy eating (hint: you’ve already got the magic wand!). Looking to practice your own skills? This week, we invite you to notice when you think of a food as “good” or “bad” and observe how this impacts on your habits with these foods. You may be very surprised at what your learn. CFIH Dietitians are hugely passionate about helping you heal your relationship with food and your body. We would love the opportunity to speak with you about your journey and help you find peace in this chaotic diet and weight obsessed world.